Every year, World Environment Day or WED is celebrated on the 5th of June to raise awareness about the importance of maintaining and defending Mother Nature and the entire planet from further harm and destruction that stems from natural disasters caused by men. The event has developed into an extensive initiative for reaching out to the public on a global scale, reaching over 100 countries. 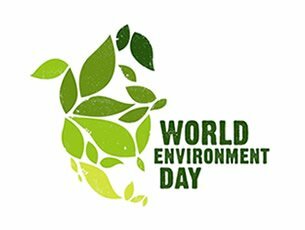 World Environment Day was established in 1972 by the United Nations General Assembly, on the same day that the United Nations Conference on the Human Environment started. Since it was first celebrated in 1973, the event has been hosted annually in several cities around the world with a specific theme. Over the years, the event has had themes of varying types. Some of them have involved seminars about the protection of drylands, the consequences of climate change in polar ecosystems and carbon neutrality. There have also been themes that involved hundreds of activities which include clean-ups at beaches, on streets, and in forests, as well as film festivals, concerts, community events, exhibits and more. Anyone from every walk of life can celebrate World Environment Day in a myriad of ways and in their own little ways. People who have not taken part in celebrating this event before are especially welcome to join in the fun. If you are interested, you can check with your local community, city or country to find out which activities they have in planned for events you can participate in. If there are none planned, you are free to hold a WED event of your own if you wish. If joining or conducting WED-related activities is not something you would like to do, you can still celebrate the event in your own home. Use it as an opportunity to start taking on a more eco-friendly lifestyle that you can sustain in the long term. Limit your electricity consumption and curb your tendency to depend on products that are not eco-friendly. Not only will you be able to save money, you will be helping the environment at the same time. Using public transport to get around will further protect the environment. Use WED as an opportunity to make life-changes and deciding to catch the bus or train to work or riding a bike more often instead of using your car daily is a good start. Taking these small but important steps will make a difference. World Environment Day is not just a day to celebrate the wonders of the earth’s magnificent biodiversity and raise awareness about how we can save our planet from further harm, it is also a day of reckoning – a day to think about what we can do to make this world a better place to live in and how we can make a difference.